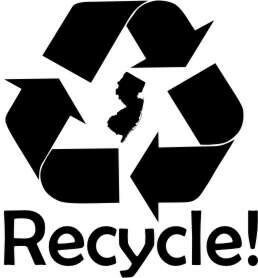 (16/P109) TRENTON – In an effort to boost residential recycling rates statewide, the Department of Environmental Protection is encouraging communities across New Jersey to participate in activities for the national America Recycles Day tomorrow, Commissioner Bob Martin announced. America Recycles Day, a Keep America Beautiful national initiative, is the only nationally recognized day dedicated to promoting and celebrating recycling in the United States. With a number of activities planned across the state that day, New Jersey wants to remind residents that recycling is a daily opportunity for everyone to help protect the environment and conserve natural resources. In 1987, New Jersey established the Statewide Mandatory Source Separation and Recycling Act, with an ambitious goal for the municipal solid waste stream to achieve a 50 percent recycling rate. The act also required New Jersey’s 21 counties to develop recycling plans requiring the recycling of at least three designated recycling materials, in addition to leaves, as well as other recycling strategies and provisions. To date, the state recycles 13 million tons of material every year. Those efforts generate far-reaching environmental and economic impacts, besides reducing the need for new landfills and incinerators. In 2006, for example, New Jersey saved more than 235 trillion BTUs of energy -- the equivalent of nearly 2 billion gallons of gasoline, and the amount of energy that would be required to power more than 2 million homes for one year. Additionally, a study by the Northeast Recycling Council and U.S. Environmental Protection Agency found that recycling employs approximately 27,000 people and adds almost $6 billion annually to New Jersey’s economy. Nationally, recycling employs almost 500,000 people and generates more than $105 billion every year. In 2015, 1.5 million people participated in America Recycles Day initiatives and collected 7 million pounds of recyclables at 1,500 registered events across the country. The current national recycling rate is at 34 percent, according to the America Recycles Day website.